You are here: Home Articles You Feel What You Eat! You Feel What You Eat! Drinking water can make an amazing difference to your health. Many symptoms diagnosed by doctors are just the product of dehydration. It is possible that you are not sick, you are only thirsty. Allergies, Asthma, Arthritis, Alzheimer’s, Diabetes, Headaches, Hypertension and Ulcers have all responded to greater water intake. Tea, Coffee, Alcohol and soft drinks are no substitute for water. They all contain dehydrating agents. Water is essential for good health and strengthens our resistance to infection, every function of the body is monitored and pegged to the efficient flow of water. Nature appears to agree, our bodies are made up of 75% water, our brains contain 85% water. Good water intake also helps to flush the system of toxins and helps prevent such problems as kidney Stones and so on…. Drink at least six large glasses of water per day. Other drinks do not count. Never leave your thirst unquenched. Taken from the book “Your bodies many cries for water” By Dr Batmanghelidji. 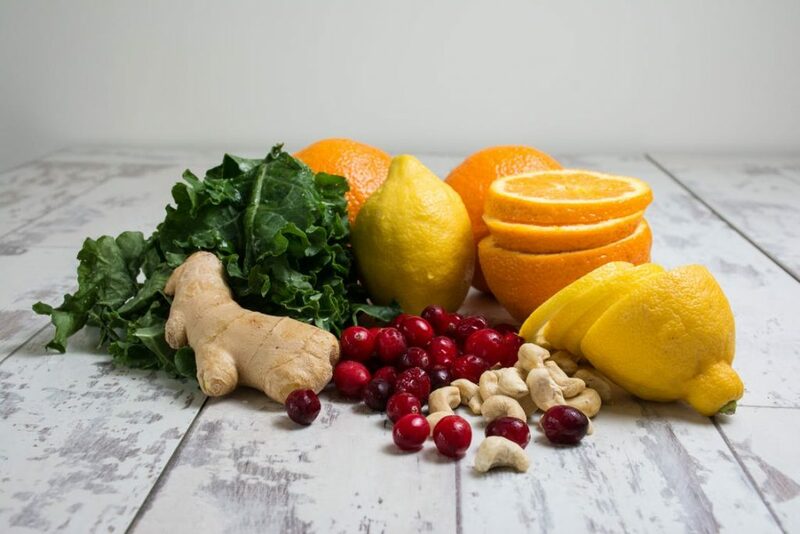 By eating foods that ensure we provide the nutrients needed both for the stress reaction and for healthy tissue building, we can reduce the negative effects of stress on the body. You can think of it as building a nutritional shield to protect you against the slings and arrows that stress throws at you. At least 5 portions of fruit and vegetables daily, preferably 7-8 portions. A portion is 80g/3oz, so for instance: 1 Apple, 2 Plums, 3 Dried Apricots, half cup chopped vegetables, half cup of beans or pulses, one wine-glassful of fruit or vegetable juice. Lean meats such as fish, skinless chicken or turkey meat, game or red meat with all the fat cut off, or vegetarian protein sources such as low-fat dairy produce, pulses, soya-based foods, quorn, nuts and seeds. Whole grains such as wholemeal bread, brown rice, whole wheat pasta, buckwheat or whole wheat couscous. Healthy fats from virgin olive oil, cold pressed walnut, sesame, sunflower or safflower oils, unsalted nuts and seeds, avocado. Zinc, Lean meat, Seafood (especially oysters), Whole wheat, Popcorn, Muesli, Eggs, Yoghurt, Cheese, Nuts, Seeds. Vitamin C, All fruit and vegetables (especially citrus fruit), strawberries, blackberries, Kiwi, Cabbage and Broccoli. B-Vitamins, All whole grains, Yeast extract, Yoghurt, Liver, Dates, Molasses, Pumpkin, Beans, Avocado. Magnesium, Dark green leafy vegetables, grapefruit, Figs, Sweetcorn, Seeds and Nuts, Aubergines, Raisins, Carrots, Tomatoes. In addition to Psychological and Physical stresses, there are also nutritional stresses. Each time you drink alcohol or a cup of coffee, for instance, it impacts on your body’s ability to handle stress. This does not mean that you need to abstain all the time, just be aware of the effects they can have and minimise your consumption of them at stressful times in your life. Sugar is devoid of vitamins and minerals and also uses up nutrients such as B-vitamins. Replace with a little raw honey, pureed sweet fruit or dates. Caffeine raises stress hormones and can lead to insomnia. Caffeine is found in coffee, tea, colas, the herb guarana and pain medication. Replace with caffeine-free coffee or tea, sparkling water with juice, fruit and herb teas, barley coffee. Alcohol is a depressant and is dehydrating. Stick to a maximum of 7 units weekly if a woman and 14 units weekly if a man. Match each alcoholic drink with a large glass of water. Cigarettes use up antioxidants. Give up smoking or at least cut-down and eat extra fruit and vegetables. Liquorice Root balances stress hormones (do not use liquorice root if you have high blood pressure). Some formulae include ginseng, another “adaptogen” which helps the body to adapt to stress. Kava Kava has an anxiety-reducing, calming effect and is good for migraines. Nicknamed the herbal Valium, St John’s Wort is effective in trials for moderate depression. It works by improving serotonin levels in the brain. Please note, if you are pregnant, breastfeeding or taking prescribed medication for any condition, then herbal and nutritional supplements must only be taken with professional advice. If these restrictions do not apply, then only take the dose suggested on the bottle. Please check with your G.P beforehand to ensure that it is safe for you to start taking the supplement. Reducing the amount of salt we eat can be difficult as two-thirds of it comes from manufactured foods. 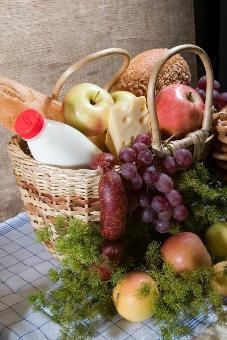 In fact, a third of the salt in our diet comes from bread, a so-called healthy food. The problem is that manufacturers use a lot of salt to enhance the flavour of food. In Western societies, blood pressure gradually rises with age. The average blood pressure in healthy young adults is 120mmHg systolic and 80mmHg diastolic, usually represented as 120/80. However, the blood pressure of the average 65-year-old rises to 160/90. This age-related rise is usual in people with high salt intakes but is virtually absent amongst those with a low salt diet. Reducing salt intake lowers blood pressure and the greatest reduction in blood pressure will occur in those with the lowest salt intake. A reduction in salt lowers blood pressure whether its high or not. The greatest salt restriction lowers blood pressure by nearly 12 points in hypertensives and even by 7 points in normal people. The more salt you take out of your diet, the lower your blood pressure will fall. A 3g reduction in daily salt intake would reduce strokes by 22% and heart attacks by 16%. 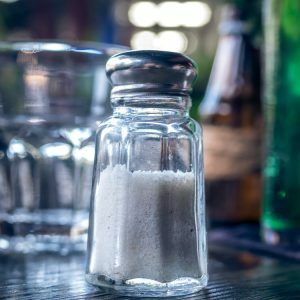 This is because a high salt intake is linked to an increased risk of coronary heart disease and strokes, whether you have high blood pressure or not. Salt doesn’t only affect blood pressure, it worsens many conditions. These include pre-menstrual syndrome, Meniere’s syndrome, carpal tunnel syndrome, liver cirrhosis, osteoporosis, kidney stones, indigestion, chronic gastritis, cancer of the oesophagus and stomach, hypertension, stroke, left ventricular failure, asthma and so on. Salt is sodium chloride, it’s the sodium that’s bad for you. Look out for monosodium glutamate and sodium bicarbonate too. An adult should have no more than 6g of salt a day. Children between 4 and 6 can have 3g, 7 to 10-year-olds can have 5g. Most food labels list sodium, to calculate salt multiply it by 2.5. Don’t use salt in your cooking and don’t add it to the table. Avoid relying on processed foods and take away meals. Foods cooked from basic ingredients will be naturally low in salt. Avoid buying too much-preserved food, smoked food and fish tinned in brine. Some specialist bread in the supermarket will be lower in salt or make your own. Encourage your children to cut down on salty foods too. Try them with low salt alternatives such as low salt crisps. Be aware that the large drink manufacturers, also own a large part of the salty snack market. As a marketing ploy, they try to up sales of soft drinks by promoting salty snacks and often run joint promotions. They know that eating more salt makes people want to drink more and buy more of their soft drinks. Campaign for your supermarket to stock lower salt foods and lobby your MP too. Encourage your favourite eating places to cook with less salt. Baked beans, Biscuits, most breakfast cereals, cooking sauces, pizza, bacon, cheese, crisps, gravy granules, salted and dry roasted nuts, sausages, smoked meat and fish, processed soup and tinned veg. Unsalted butter, fresh soups, fresh meat, prawns, crab, white fish, chicken, natural yoghurt, honey, fresh fruit, fresh veg, homemade bread, porridge oats and shredded wheat. Salt isn’t the only hidden health hazard in our food, sugar is even more scary than salt because we are still feeding it mercilessly to ourselves and our children, often without even knowing it. Sugar has a powerful depressive effect on our immune system. Research has shown that as little as six teaspoons of sugar can reduce the effectiveness of the immune system by a massive 25%. 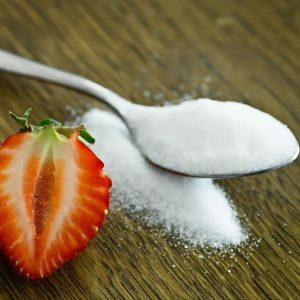 What’s more, as many as 7 in 10 people suffer from an inability to balance their blood sugar, which is usually linked to excess consumption of refined sugar. Excess sugar is completely empty calories, it has no goodness whatsoever and humans just don’t need sugar in this form. Like salt, sugar is often hidden in our food. For example, there are 2.5 teaspoons of sugar in half a tin of baked beans, up to 8 teaspoons in a small bar of chocolate, 4 teaspoons in the average kid’s fruit yoghurt and 7.5 teaspoons in a tube of smarties. Low-fat diets can make you depressed. Research has linked diets that drastically cut down on all types of fat with an increase in symptoms of depression. Turkey and chicken contain a good source of mood-enhancing tryptophan, an essential amino acid which is converted into serotonin – which can be low in people suffering from depression. Regular tea and coffee drinkers may be confusing the mental boost apparently provided by their favourite cuppa with the effects of avoiding the unpleasant caffeine withdrawal symptoms. Caffeine dependency can be acquired with as little as two or three cups drunk daily. Contrary to popular belief, tinned tuna is not a good source of omega-3 essential fatty acids as the canning process reduces the tuna’s fat content. Carbohydrate cravings may be a subconscious attempt to raise serotonin levels. Serotonin is the neurotransmitter, or brain chemical, responsible for mood, sleep and appetite control. It is made from a protein fragment called tryptophan and this is absorbed more quickly into the brain after eating a carbohydrate meal. The rotation diet method for planning meals is highly recommended as a method for managing multiple food sensitivities. Its advantage is that you don’t need to cut out any problem foods completely. It can also be used to detect hidden food allergies and minimise the risk of developing new sensitivities. Vitamin B6, vitamin C, Folic Acid (Folate) and Zinc are all essential good mood nutrients. They are needed to make the feel-good brain chemical serotonin from the tryptophan protein fragment that is found in foods such as meat, fish, beans and lentils. Uncovering hidden food allergies can sometimes involve careful detective work. Some people with a sensitivity to chicken eggs may find that they also react to chicken meat. Caffeine increases mental alertness and concentration and can improve performance. However, too much caffeine (and this will be a different amount for each person) has been found associated with: anxiety, cravings, depression, emotional instability, insomnia, mood swings, nervousness and premenstrual syndrome (PMS). You can avoid the highs and lows of mood and energy associated with fluctuating blood sugar levels by choosing foods that are digested slowly. These foods have a low Glycaemic Index and include wholegrain rye bread, oats and basmati rice. High GI foods, which are best avoided, include French baguettes and instant white rice. The romantic associations we have with chocolate may be due to the effects on the brain of a naturally occurring substance called phenylethylamine PEA. PEA can enhance endorphin levels, increase libido and act a natural antidepressant. Sugar can also increase levels of the body’s natural endorphins and chocolate bars often contains appreciable amounts of sugar. These mood-altering effects of chocolate may be why it is easy to become ‘hooked on’ chocolate. Bananas Containing three natural sugars – sucrose, fructose and glucose combined with fibre, a banana gives an instant, sustained and substantial boost of energy. Research has proven that just two bananas provide enough energy for a strenuous 90-minute workout. No wonder the banana is the number one fruit with the world’s leading athletes. Forget the pills — eat a banana. The vitamin B6 it contains regulates blood glucose levels, which can affect your mood. High in iron, bananas can stimulate the production of haemoglobin in the blood and so helps in cases of anaemia. This unique tropical fruit is extremely high in potassium yet low in salt, making it the perfect way to beat blood pressure. So much so, the US Food and Drug Administration has just allowed the banana industry to make official claims for the fruit’s ability to reduce the risk of blood pressure and stroke. 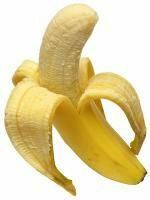 High in fibre, including bananas in the diet can help restore normal bowel action, helping to overcome the problem without resorting to laxatives. One of the quickest ways of curing a hangover is to make a banana milkshake, sweetened with honey. The banana calms the stomach and with the help of the honey, builds up depleted blood sugar levels, while the milk soothes and re-hydrates your system. Bananas are high in B vitamins that help calm the nervous system. Studies at the Institute of Psychology in Austria found the pressure at work leads to gorging on comfort food like chocolate and chips. Looking at 5,000 hospital patients, researchers found the most obese were more likely to be in high-pressure jobs. The report concluded that to avoid panic-induced food cravings, we need to control our blood sugar levels by snacking on high carbohydrate foods every two hours to keep levels steady. Many other cultures see bananas as a ‘cooling’ fruit that can lower both the physical and emotional temperature of expectant mothers. In Thailand for example, pregnant women eat bananas to ensure their baby is born with a cool temperature. According to research in ‘The New England Journal of Medicine,’ eating bananas as part of a regular diet can cut the risk of death by strokes by as much as 40%! So, a banana really is a natural remedy for many ills. When you compare it to an apple, it has four times the protein, twice the carbohydrates, three times the phosphorus, five times the vitamin A and iron and twice the other vitamins and minerals. For more in-depth information on nutrition from a qualified specialist see the additional help page. Timothy Pope and Healing from the Heart would like to create a sanctuary. A calm, peaceful place filled with love where people can receive first class therapies. A donation, however small will assist in raising funds to make this possible. We are also looking for a property for the sanctuary.